Home › Abundant Living › Can You Believe This? Have you ever had something happen that goes beyond coincidence? An event or circumstances that line up in a way that reinforces your belief in God, a higher power, or in the supernatural? That either God really does exist, or else you’re going crazy? Even if you consider yourself a rational skeptic who must see, feel, and touch all things, we’ve all had experiences that can’t fully be explained. Perhaps a perfectly timed phone call or message, or word from a friend or stranger. Maybe an uncanny series of actions or opportunities that present themselves in ways you could not have orchestrated. One that brought me to tears and even further reinvigorated my faith in God who knows and cares about the details of our lives. This past week we had a simple graveside burial for my mother, Virginia, who recently died at the age of 85 in a rest home after serious signs of dementia in her final months (see March 4, 2016 Biblical Viewpoint A Humble Mother’s Life). For the funeral my sister asked me to play the guitar and lead the small gathering in singing my mom’s two favorite hymns, Amazing Grace and How Great Thou Art. Meanwhile, over recent weeks I was halfway through a book my wife had been asking me to read for the past year. A touching Karen Kingsbury novel titled Angels Walking. While I have enjoyed Karen Kingsbury books in the past, I have considered them the equivalent of “chick-flicks” in book form. Very harsh, I know! I will never again consider them in this way. 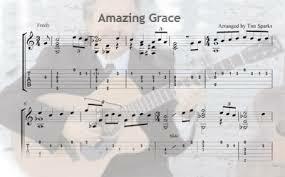 At home this weekend after the funeral I was finishing the novel and came across a passage when the main character, Tyler, is asked by Virginia, an aging woman in a rest home suffering from signs of dementia, to play the guitar and sing her two favorite hymns, Amazing Grace and How Great Thou Art. I was stunned seeing those words on the same page on my Kindle. I turned to my wife next to me and shared what was before me. She was equally flabbergasted. The skeptic would say it’s merely a coincidence. The cynic would think it’s nothing. The spiritualist would say that my mom was trying to connect with me. I believe that God is in the details of our lives and stirs us to do things that we often do or don’t do with short and long-term repercussions across the kingdom. My understanding now is that Karen Kingsbury, as a novelist, is very deliberate and obedient in responding and writing about the storylines and ideas that God’s Holy Spirit gives her through thoughts and inspiration. I do not know the background or origin associated with her selection of those songs or that scenario, even Virginia’s name, in her 2014 book, Angels Walking. (I have literally written a letter to her with that question this past week.) I am prepared, however, to see this as a minor narrative detail in her mind, prompted by the Holy Spirit, to encourage one day, unbeknownst to her, a certain believer (me), at a particularly tender time in his life, to be confirmed in the love of the Father and encouraged in the fact that God is a God who knows and cares about the details in the lives of his beloved. And that is an all-knowing, all-powerful God worth believing in and getting to know. Do you believe God loves you and is who He says He is? I love how the Lord puts these things into our lives–I have to think it’s a sign that he loves us. Not just that he puts them there, but that he gives us the ability to see and notice them.